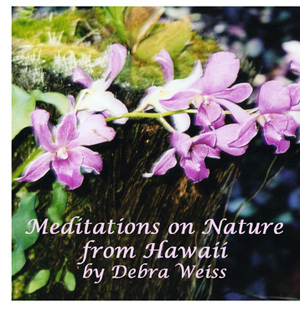 Guided imagery and deep relaxation from Hawaii. Visit the black sand beach of Punalu'lu, home of the Hawaiian sea turtles. Watch molten lava pour into the Pacific by moonlight. Feel the power of the great banyan tree of Lahaina. 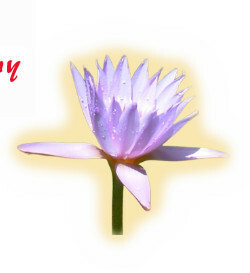 Learn pranayama, or yogic breathing techniques, that still the mind and calm the nervous system. It is best to begin with Deep Relaxation. The Island, and The Sea Turtles of Punalu’lu are guided relaxations that should be done lying down. They may be done at the end of your yoga practice or on their own. The Great Banyan Tree of Lahaina and The Volcano are seated meditations. They can be done before your yoga practice or on their own. 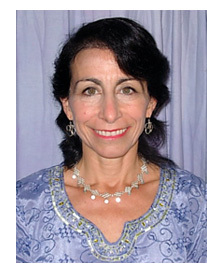 No prior experience with yoga or meditation is necessary. Three classes of guided imagery, yoga and meditation from Greece. Visit the ancient Agora where Socrates walked. Feel the beauty of the ancient theatre at Delphi. 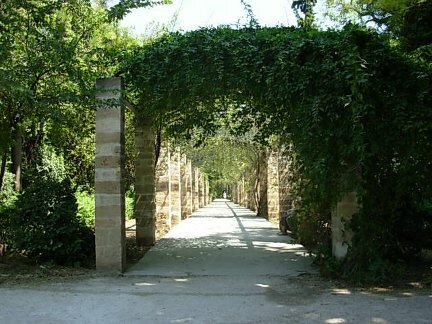 Meditate in the tranquil National Garden of Athens. Enjoy the view from ancient Thera in Santorini. Each class is inspired by a myth from Ovid’s Metamorphoses. In Ovid, spiritual change was symbolized by physical transformation from human to animal or tree or stream. In meditation we transform ourselves by letting go of old patterns and beliefs that block our happiness. In yoga we use postures inspired by animal movements. We feel the power of the lion, the soaring vision of an eagle, the sinuousness of the snake. Join us on a yoga journey through Greece! Recent studies have shown that meditation reduces anxiety and improves concentration. I'd like to make a tax-deductible contribution of $25 to support the dance company's work. Click Donate. The price for a CD is $15 shipped; the price for a DVD is $20 shipped.